Not many people know what cosmetic dentistry entails or what sets it apart from other specialties within the field of oral health care such as general dentistry, restorative dentistry, neuromuscular dentistry, and sedation dentistry. Cosmetic dentistry is a major part of what we do here at Trillium Dental in Ottawa, and we are proud to have given many patients the beautiful smile they’ve been dreaming of for years. From administering professional teeth-whitening treatments and contouring gums to providing dental crowns and bridges, we do it all. In this blog post, we will discuss all the different cosmetic dentistry services we offer, as well as what each one aims to accomplish. 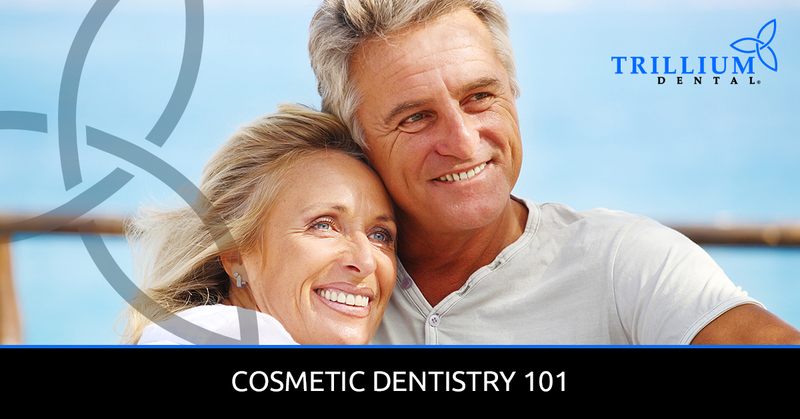 But first, let’s start with a basic definition of what cosmetic dentistry is and the benefits it has for those who are looking to improve their smile. Simply put, cosmetic dentistry is a specific kind of dentistry that aims to improve or nearly perfect the appearance of a person’s mouth, teeth, and smile. There are many ways of accomplishing this, and each one depends on the patient’s unique oral structure and own specific needs. Say you have stained teeth, for example. The appropriate cosmetic procedure would be a professional teeth-whitening service, during which your dentist would safely and effectively apply teeth-whitening gel and an LED light to the stained surface. On the other hand, if you happen to chip or break a tooth or two, porcelain veneers can be applied to seamlessly even out the teeth so no one will ever know they were broken. Either way, cosmetic dentistry can restore your confidence and provide you with a stunning smile in no time! Given that everyone has a different mouth structure and aesthetic, recent technology has made it possible for a wide range of cosmetic dentistry services and procedures to become available to the public. Here are some of the ones we offer. Professional teeth-whitening services are one of the most common types of cosmetic dentistry. At Trillium Dental, we provide both in-office Zoom!® whitening treatments and take-home teeth-whitening kits. Upon visiting our dental clinic for a teeth-whitening treatment, one of our highly skilled dentists will apply Zoom! teeth whitening gel to your teeth in 15-minute increments, and shine a Zoom! light on your teeth to enhance its effectiveness. This safe, non-invasive teeth whitening service is completed in an hour and produces incredible results. If you prefer whitening your teeth in the comfort of your own home, you can also pick up a take-home teeth-whitening kit from our office at any time. As previously mentioned, dental veneers are used to cover up broken, chipped, cracked, or otherwise imperfect teeth. 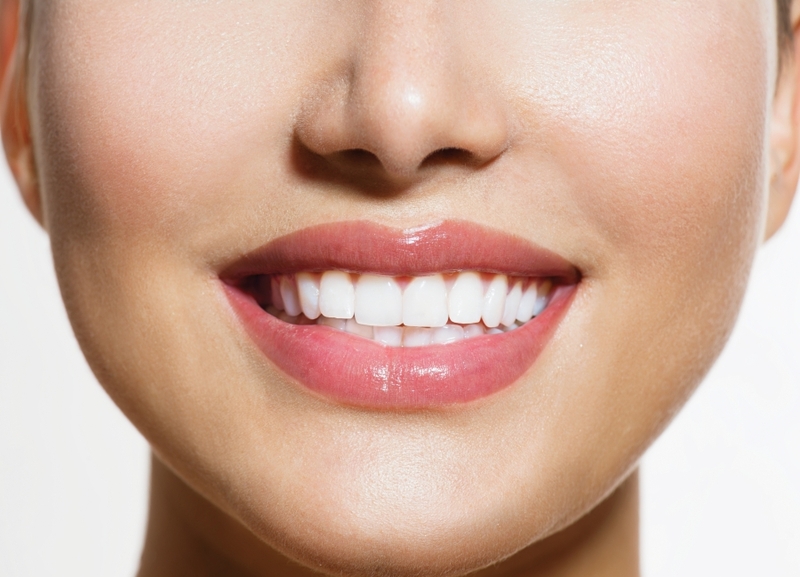 At Trillium Dental, we use extremely thin porcelain veneers that can be bonded to the teeth, giving our patients a stunning white smile that looks entirely real. In fact, no one will even notice that your teeth were flawed in any way because our porcelain veneers are strong, long-lasting, and very closely resemble real teeth. Another common cosmetic dentistry procedure we offer is the implementation of porcelain cavity fillings, as opposed to traditional metal fillings. No one wants to talk with dark, visible fillings, and we make it possible for no one to ever know. There is no better way to hide the fact that you’ve had cavities than with white fillings that look like part of your real teeth! For those who want the full package, we also provide total smile makeovers, complete with any combination of teeth-whitening treatments, porcelain veneers, Invisalign®, dental bridges and crowns, and more. This option is fully customisable and is contingent on each patient’s individual needs. Dental bonding refers to the administration of any material to your teeth that is meant to stay. This could mean porcelain veneers, white cavity fillings, or any other kind of permanent or semi-permanent cosmetic dentistry service. Some people have gums that, in their opinion, extend too low or rest too high up on their teeth. This can cause them to feel self-conscious and result in them hiding their smile — until they seek a professional gum contouring procedure, that is. For those who have a “gummy smile,” we can even out and remove parts of the gums with a dental laser that is made for these kinds of small, non-invasive procedures. We can also perform gum grafting to add a little more tissue to overly exposed teeth that hardly have any gums. Last but not least, we also offer dental bridges and crowns for patients with brittle or decayed teeth. During this procedure, we place a temporary crown on the affected teeth to reinforce and protect them while permanent dental crowns are being made. Once we have crafted them from an impression, you will be sent home with better functioning teeth and a better looking smile. If you are thinking about pursuing a cosmetic dentistry treatment or procedure, request an appointment today! Cosmetic dentistry is one of the most fun parts of our job, and we love helping our patients achieve their best smile.